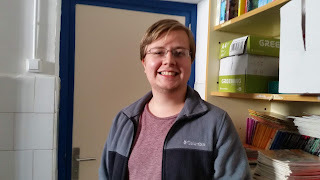 Connor Nitz, our language assistant this year! On the 1st October , our assistant Connor Nitz arrived to our school, all the way from Chicago. He is a very nice and friendly young man willing to assist us in any way he can. All the team is very pleased with him and we hope that he is comfortable with us!